Nowadays, you have publications like the Harvard Business Review talking about virtual teams and the “post-geographic” office as the next big challenge for enterprise management. Virtual reality technology holds the promise of further eliminating the need for a centralized real estate presence. For solopreneurs and growing small businesses, the mainstream acceptance of the concept doesn’t make finding and managing the right people any easier. Beyond locating the person with the right skill set, you’ve also got to find the right match for your particular personality and culture. Jess Ostroff: My name is Jess Ostroff. I am saving the world by helping badass entrepreneurs kicking tasks and taking names, and I am unemployable. Brian Clark: Hey, hey, hey — welcome to Unemployable. I’m your host, founder and CEO of Rainmaker Digital, Brian Clark. This is episode 64 of Unemployable. I can’t believe I’ve done 64 of these already. That’s not even counting the 10 lessons I did on how to get more clients with smarter email marketing. If you missed out on those, they’re kind of hidden. 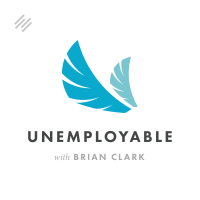 Brian Clark: If you’re listening on Unemployable.com or on Rainmaker.FM, you won’t see those lessons, but if you open up your favorite podcast app — such as iTunes, Google Play, Stitcher, I think there’s several others out there — you will see them there. They’re numbered Lessons 1 through 10. It’s a complete strategic approach for people who are in professional services businesses. If you’re a freelancer or a consultant coach, what have you, this is an email strategy aimed at you. Go check that out. Also, if you do happen to be an iTunes listener and you’re over there checking out those lessons or this episode, please let me know what you think about season three so far with doing a rating or review there over at iTunes. It helps immensely with that audio search engine Apple has got running over there, and I appreciate the feedback. It doesn’t even have to be glowing. If you’ve just got things you’d like to see done differently, or hear done differently I should say, let me know. That’s the only way I know how I can make this show better for you — because that’s the whole point. Brian Clark: Today, we’re talking about building your virtual team. As many as you know, as a leader of a virtual company of over 65 people that are located around the world, I wouldn’t have it any other way. Of course, I had a lot of help from my partners getting to this point over the last six years. Nowadays, you’ve got publications like the Harvard Business Review talking about virtual teams and the post-geographic office as the next big challenge for enterprise management. Virtual reality technology — it’s starting to breakthrough — holds a promise of eliminating the need for centralized real estate presence. For solopreneurs and growing small businesses, though, the acceptance of the concept doesn’t make finding and managing the right people any easier. Beyond locating the person with the right skillset, you’ve also got to find the right match for your particular personality in your business culture. Jess Ostroff, a person I’ve known a long time, she’s a pioneer in the virtual assistant industry, so she’s got some valuable tips to share with you if you want to go it alone. She’s also pushing the boundaries — and this is what I think is interesting — of the virtual concept by creating an agency of talented writers, designers, developers, assistants, what have you. Essentially, she’s building and managing a virtual team of her own that you can tap into as needed. Jess, how are you? Thanks for joining us. Jess Ostroff: Thank you so much for having me. I’m a huge fan of unemployable people. I find them to be the most interesting, so I am so happy to be here. Brian Clark: Yeah, it is interesting. The company that you’ve grown over the years is in the service of unemployable types, and yet I think you’re all a bunch of unemployable types yourself, which is an interesting dynamic. Why don’t we talk a little bit about Don’t Panic Management, how that came about, and how it’s evolved over the last several years? Jess Ostroff: Absolutely. It started out probably how many of the unemployable stories start, where you hit this point where you’re so frustrated with the situation that you’re in that you know that there has to be something different and something better. That’s sort of how it happened for me. I went to college for marketing and international business and basically for the reason that I wanted to make money and travel the world. But I didn’t really know what that meant or what it could look like in a real-life situation. When I graduated, a lot of my fellow classmates were going to big accounting firms and financial companies, and I had no interest in that. I wanted to do something more creative and more exciting. I switched gears and decided to take a year ‘off,’ and I put that in air quotes because this was actually the hardest year of my life. I was working with an AmeriCorps program called City Year in Los Angeles, and I was teaching math and science to underprivileged youth. It was very challenging and definitely tested my work ethic in a lot of different ways because we were getting up at five, six in the morning, and we had to be there at the school at seven or 7:30 to greet the kids. Then we were working in one-on-one and small group environments all day, including in an after-school program. We were basically there for 12 hours with just one-on-one time the whole day, which was really, really, really crazy. Sometimes when I have hard days now, I’m like, “Well, it wasn’t as hard as that was.” It’s good to have the perspective. I continued to work in the non-profit sector for another year or so, but quickly found that there weren’t a lot of business people that were working at the non-profit that I was at, and they just had these ideas and expected them to happen somehow. I really value processes and being efficient. Seeing that not happen in the company that I was working with was so frustrating. Of course, I’m 22 or 23. I was one of those typical Millennials that was like, “Well, I’m not going to do this. I’m going to go do my own thing.” I joined Twitter. I was somewhat of an early adopter in the social media world at that time and followed maybe five or six people. Our friend Jay Baer was one of the first people I followed. I had actually interned for him in college at his ad agency at the time. We had stayed in touch, and he said that he was looking for a virtual assistant. Of course, I didn’t know what that was at the time, but I figured, “I’m good at details and good finding efficient ways to get things done, so I’m sure I could do this.” I blindly put my hat in the ring, and I think he chose me because he had worked with me before. He was in and out of the office a lot when I interned for him, so we had a rapport when it comes to the virtual environment. That was about six or seven years ago. I started Don’t Panic almost exactly five years ago. We have anywhere from 15 to 25 people that work for me at any given time. It fluctuates because everyone, as you said, sort of in the freelance contractor capacity, and we have five full-time people as well. We’re just growing. People are starting to understand the value of a virtual assistant. I don’t have to explain it as much anymore, which is super nice because I got sick of that for a while. There’s more interesting ways that virtual assistants can help companies now that so many people are working on the Internet and have distributed teams. I think it’s a really exciting time. We’re not just filing things or doing a little research project. We’re actually running a lot of people’s content, social media, and entire administrative sectors behind the scenes. Brian Clark: Yeah, let’s talk about the term for a second because when I first heard ‘virtual assistant’ — and I think the way you even started out in the business with Jay — was like an executive assistant or an admin assistant, right? It never worked out with me because, for whatever reason, I just don’t use that type of administrative person. You tried. You tried to make me give you things to do back in the day. Jess Ostroff: I tried so hard. Brian Clark: It’s interesting because I lead the team more like a coach, and everyone has to get things done. Everyone has a job, and then they figure out how they to do it — and that’s how I operate. I never needed an actual administrative assistant, but nowadays, the term virtual assistant means a totally different thing it seems. Do you feel like it’s encompassing anyone who works on a contract basis to accomplish this specific task for someone? Jess Ostroff: I feel like we are going through an identity crisis. It’s frustrating because I don’t have another word for it. A lot of times what I’ll say is, “Well, we’re actually your content assistant.” Or, “We’re your social media assistant.” Putting that virtual in front of it still has a bit of a negative stigma because of some of the overseas assistants that I’ve heard about who would take your money and run kind of thing. I know a lot of people had really good experiences with those people, but I also know a lot of people who have had terrible experiences with them. Even saying virtual assistant sometimes, I don’t love it. I’m trying to think of another way to explain it. Usually when I describe it to people now, I don’t even necessarily enter the word ‘virtual’ because, as I say, we’re a distributed company. We have people all over the country, and I may say we work virtually. I talk more specifically to what type of tasks they need and the sort of feeling. We just launched our new website, and I went through this whole rebranding exercise. One of the things I realized was a big value-add from our company is a feeling that we provide. If you give something to us — whether it’s a task or an ongoing project — the idea is that you won’t worry about it, and you’ll feel a sense of calm knowing that, that work is going to get done. Trying to explain that to people is sometimes a challenge. Especially, there are a lot of people who come to us who are already panicked. We try to get to the people before they get that point, but it doesn’t always work. We’ve been trying to figure out another way to call ourselves instead of virtual assistants because, like you said, I don’t think it really encompasses everything that we do or the full service that we provide. Brian Clark: Yeah. To me, you’re more like a one-stop shop for a virtual team, which I think is much more attractive sounding, and it’s more accurate to what you actually do. Full disclosure, everyone, I do work with Jess and her team. They actually help curate the content that you find in the Unemployable newsletter. I make all the final selections, and I find stuff during the week on my own. But they give me a rock-solid slew of really good content to choose from, and that’s helpful. That’s just one less thing that I have to do even though, ultimately, the decision is up to me about what goes in that newsletter. I wanted to go with a company like Jess’ because, occasionally, I need other stuff done. I don’t want to be paying freelancers over here and finding a designer over here or whatever. What are the actual full roster of services that you provide over there? Do you do any design stuff? Jess Ostroff: Yeah. Most of the things we do are as basic as you can think of while still being good. We have people who do graphic design. We have people who do podcast production, but at the same time, we’re not a full-service graphic design shop or a big-sound production company, if that makes sense. We produce about, I don’t know, 15 podcasts now. They don’t need big sound effects or a lot of heavy editing, and we can make them sound really good. For these clients who want things like that — usually they just want it to be good — they don’t need it to be the most unique or the most amazing thing ever. They don’t, frankly, even want to pay for that. At one point, we were talking about we’re like the executioners. That’s obviously not a great way to describe it. We work with people who have a strategy, who have the ideas, who know that they need to get these things done, but don’t necessarily have the bandwidth to do them or don’t know how to do them well. Like you said, you could come to me and say, “I have these 10 things that need to get done.” We might actually use 10 people. Usually, we have people who have multiple skills, and it might be three people. The nice thing is that we do have a bunch of people on the team that have really different skills — and new people all the time that come in and bring their experience and skills. That’s been really fun, too, to grow our services based on the talent that we have as opposed to trying to fill the talent. I think that, that model tends to work better because we’re actually providing the really great service that we already have. Brian Clark: Let’s get into some advice for people out there who may be listening. We’d like to talk about this ‘company of one’ concept, the power of that person with the strategy, and then working with others to make it happen. In my day job as CEO, I’m spoiled rotten. I’ve got a great team. It took a long time to build it, and I wouldn’t trade it for the world. But with projects like Unemployable and Further, I can’t ask them to do my stuff, so I’m right back to being one guy. Jess Ostroff: You seem to do that to yourself all the time. Brian Clark: Yeah. That was the attraction, really. For example, if I wanted to implement a webinar strategy or maybe a paid content community, I would need all sorts of the multimedia production help that I get in the main company, but I would have to do this on my own. Of course, that can be challenging. It can be daunting even, and that’s from a guy who runs a virtual company of 65. What’s your top advice? Let’s pretend like your company doesn’t exist for a minute. You’ve got someone, either a solo or a small team, and they do want to do something ambitious like create a bunch of multimedia content on a regular basis. What would you tell them to think about first? Jess Ostroff: I think the biggest challenge for people who are on their own, a lot of times, they’re on their own for a reason. Whether it’s that they don’t really think they need help, they don’t enjoy working with other people, or they don’t like having a boss — usually, those are some of the reasons. But I would say the first thing to figure out, or at least to admit to yourself, is that you might be able to do all these things on your own, but that doesn’t mean that you should. And figuring out what unique skillset you have that nobody else can bring to the table. Brian Clark has all these ideas all the time and creating these new communities and these new platforms. Nobody else should be doing that side of things, but in terms of setting up your email newsletter or even making a website for you, which I know you can do those things, or producing the podcasts for you. Theoretically, if you’re Brian Clark, you should just be the talent. You shouldn’t even have to do any of those behind-the-scenes things. I think a lot of the people that we work with are the same way. They have the ideas. They have the drive. They have the passion, and they should really be the ones in the forefront putting their ideas out there and let other people behind the scenes do the grunt work. So figuring out what it is that makes you unique and what your message is that you’re putting out into the world is first. I talk about making some lists. I’m a big fan of lists and planning. The first list, of course, is writing down all the things that you do. If you run a company or if you run the media for something, content for something, what are all the things you have to do? For a lot of content people especially, that’s interviewing people, researching, writing, editing, producing in terms of the graphic design side, especially if it’s a big piece of content. Writing Tweets to promote. Figuring out a paid strategy in terms of advertising … and measurement, of course. Those are all of the things maybe that are included with a content project. Then honing in on the things that you either don’t want to do or hate doing and putting those in another list. Then the final thing is looking at the things that you love to do. Those might not be in either of your first two lists. If none of the things you love to do are the things you’re doing, that might be a red flag. What we try to help our clients get to is that freedom, that point where they’re only doing the things that they are uniquely qualified to do and that they actually enjoy doing, and that they’ve offloaded the rest. Of course, in a perfect world, they’d be able to do that right away, but it also comes down to budget. I think figuring out what you’re willing to invest … because it really is an investment when it comes to working with a team like us or with any other contractor or freelancer to help you. You have to trust them enough or be willing to train them well enough that, whatever money you’re putting in to them, you’re getting out at least double the output. Whether it’s you’re getting back your time — which, for a lot of us, we do bill by the hour or by the project — but your time, theoretically, is worth a lot more than the time of the contractor or the freelancer that’s doing the work for you. If you’re able to charge $100 an hour for your time and you’re only paying the person $30 an hour, clearly you’re making back a lot of your money. Brian Clark: Yeah. I think you’re dead on with the way you’re thinking about it. I can remember early on, pre-Copyblogger days, having just horrible experiences. It was usually with a designer. They were just notoriously bad at keeping deadlines, or showing up at all sometimes. That was another thing I think that drove me to immediately think of you guys. I know you. You have a brand now. You’re not going to screw up. If you do screw up, I get to talk to you about it. You know what I’m saying? That’s important. Do you think agencies like yours will be more common? Even though there’s not one focus, like design just content, or just consulting, do you think it’s going to catch on more simply because of that one-stop shopping aspect and the brand trust factor? That’s what people want. If anyone’s listening out there — not just to this podcast, of course, but in general — that is where it should go because that is what people want. But I found, for whatever reason, that our company structure is pretty unique. I don’t know if that’s because the thing I said before where a lot of people like to be on their island and not work with others and really believe that they can do everything themselves, or if it’s because they just haven’t been successful. The hardest thing about this company is that everything we do is with people, and people can be hard to work with. They have their different personalities, the different things that drive them crazy, and the different ways you have to manage them to get their best work out of them. A lot of people just absolutely don’t want that kind of responsibility. But just as you’ve said, it’s so great when we have … I don’t know how this happened, but I work with a lot of women, a lot of young-ish women who are in their child-bearing years. We’ve had a lot of Don’t Panic babies coming in the last couple years and more on their way. When someone, for example, wants to go out on a little bit of a maternity leave, which we do provide leave for our full-time employees, we don’t want everything to hit the fan. We want to have a plan in place where somebody can pick up, do the work while they’re out. That’s a big-scale example, but sometimes you get sick. Sometimes you have to go to the doctor, or sometimes you have to take care of somebody. You have to go to court for jury duty. These things happen. To have a team behind the person that is there, making sure that things are being done well, being done on time, and also can pick up the slack while you’re out I think is really, really valuable to people. It’s like, “Well, first of all, you’re going to get the work, but second of all, we’re not trying to dupe you.” We have this reputation better now where people don’t think that we’re the kind that’s going to skip out on a project. But yeah, I do think that if anybody is smart with the way the market is going, they will create those shops where they have multiple people doing things and are looking out for each other and frankly have a really strong culture. I think that’s one thing that’s really important to us. I’m the boss, but I care about my people, and I care about how they’re doing on a personal level because we are our work. If we’re not 100 percent, our work is going to suffer. I try to notice if people are rundown. I think this is a woman thing, too, that they don’t always ask for help when they need it. I try to tune in to that and offer the help without them having to ask. “Hey, if you need a few hours off or if you need a day off,” or, “Hey, here’s a gift card,” or whatever” — trying to build the culture of trust internally so that we can expand that so that it seeps through to our client base. Brian Clark: It’s interesting because it occurred to me, I think your value proposition is pretty clear given that I’ve been there and done that as far as building a virtual team. You have built a virtual team so other people don’t have to, which is kind of an interesting thing. Let’s take a step back and then just talk about how you’ve done what you’ve done and give advice as if someone wants to do it themselves, because that is an alternative. You have done it, and I want to hear how you went about it. Jess Ostroff: I’ve been thinking about it a lot, especially lately, because we are in the hiring and growth process. Everything has happened so organically. In the beginning, it was just me, and I said, “I’m just going to work all the time.” I don’t even know how many hours I was billing when it was just me, but I wanted to work really hard. I wanted to get the experience. I think that’s really important for anyone — to really be in the weeds and try to do all the things so that, even if you’re not that great at it, at least you can empathize with other people you’re hiring to do the things or train them. That’s how I did it. It’s sort of this push and pull thing for me. I don’t want to hire people without having to work, but I don’t want to take on new clients without having the people. It’s pretty challenging on that front, I would say. I’ve had to just go with my gut. In the beginning, as soon as I started feeling so overwhelmed that I wasn’t sleeping enough, that’s when I started bringing on a couple of contractors. The way I do it is, I always have people go through, at least at this point, a pretty rigorous application … I can’t really call an application process because they’re contractors and freelancers, but it’s this big long interest form. It’s a Google Doc. It asks them a bunch of questions about themselves, but then they have to submit a bunch of things — like their resume and their cover letter — but they also have to submit a writing sample. We hear this all the time, like your story about the designer. We hear stories like that about developers, too, because they’re not always the best communicators. On this team and in this day and age, I think communication skills are so important, especially written communication skills, because a lot of what we do is via email, Slack, or via a project management tool. So I always ask for a writing sample upfront before I even consider whether or not I’m going to interview them. Then, at this point, because we’re a bigger team now, I have my chief people officer do the first-round interview and prep them for talking to me, and then I interview them as well. We pretty much go through waves where we’re interviewing people all the time even if we don’t have the work. We don’t want it to be, “Oh my God, we have this client. They need help. We have no one who could do it.” We have to do it. That’s how it was in the past was, anytime we got new work and nobody had bandwidth, I was taking on all the work. I think that’s common for small business owners, too. I had a call earlier today with someone who was like, “I’m growing, but I’m running out of time. I can’t do this all myself. I need help.” I just think the interview process and the people are so important. Like I said before, your people are your service. You have to, as they say, hire slow and fire fast. I firmly believe in that. They don’t have to answer those questions, of course, but I find when the people that I interview have a passion for life and a passion for helping people in any capacity, they tend to be a better fit for the company. Figuring out what those core values are that you have as an owner and as a business, and trying to hire people who fit within those values, as opposed to only hiring people who have the skills. I think the hardest thing, too, is when you have great people and then they leave for whatever reason. It’s so expensive and so time consuming to bring on new people to fill those roles. For me, I just try to hire really good people that are a really good fit, but also pay attention to them in the long run and keep them and do things that they want and need in order to keep them happy and keep them on the team. Brian Clark: Yeah, absolutely. I agree 100 percent. You’ve mentioned culture a couple of times. I want to talk a little bit more about that. I think some people think virtual culture is an oxymoron, but I can tell you firsthand that our organization has the most unique and something-I-want-to-preserve type culture. We’ve always been very, very skittish about growing fast, about scaling up beyond where you just have to start hiring people left and right. To me, that’s a nightmare because I know I wouldn’t have the same organization when I got done. 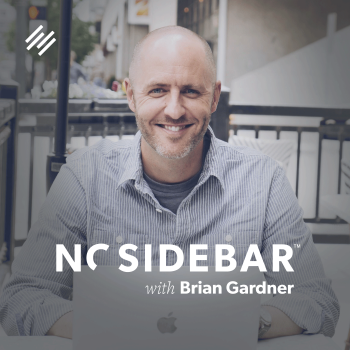 Brian Clark: So culture is real, and I think you alluded to this, if not outright said it, but the culture you’re cultivating spills over to the people who are your clients. On one hand, you have a marketing match, I guess. Your type of people are going to match up with the kind of clients that appreciate the way your people are. They’re always responsive, friendly, very cool, and you have some high-powered clients. That’s not an empty compliment whatsoever. Was that just organic based on your personality? You’re a very friendly, helpful, somewhat bubbly person. Did it really stem from founder cult of personality kind of thing, or beyond skills and dependability and all those important things, you were looking for a certain type of person? Jess Ostroff: I think it was a couple things. I have dealt with some really awful people as clients. Whenever that happens, and it hasn’t happened in a while, I tried to pay attention to what were the things that bothered me. When I could really think about it, I realized that I had a bad feeling about them from the very beginning – so listening to that a little bit more. But I also think that, yeah, definitely my personality. Half of our clients I got from having a drink at a bar with them at a conference or something or chatting with them in some other avenue, like on Twitter. I used to be really big into Twitter chats. I don’t do them as much anymore, but when I was first starting, I got so many clients that way. I think, on some level, especially with this virtual environment, knowing them personally and having them know me personally took away that fear, first of all, of the trust and reliability. But it also meant that we got along and that we could respect each other. That’s why I think that the assistant nature has changed. In fact, a few years ago I was talking about this with somebody, and I was like, “You know what? Actually, it’s the assistants that are in charge. It’s not the CEOs.” The assistants are oftentimes running the show and telling the executives where to go and who to meet with. Of course, that’s not true. The executives got there because they’re really smart and hopefully they got they got there because they’re really smart. Brian Clark: I’m telling you, when I practiced law and I watched the partner’s assistants, those were the most powerful people in that room — without a doubt. Jess Ostroff: Absolutely, and that’s what I realized. That’s when I was like, “Okay, this is not a joke. First of all, people need this. Second of all, we can’t be ****ing around. We’re doing real work. We’re making a real impact.” That’s when it came to the point where I figured out who our best relationships were with and what they all had in common, and it was that. It was that mutual respect. It was a sense of humor. I remember one time screwing up a number of years ago. It was for Jay. Jay was like, “Jess, this is marketing. It’s not life or death.” On the other hand, I had some other clients who were like, “There was a typo in my email newsletter, and you’re fired.” It’s like, “Okay. Really?” As much as I like to say what we’re doing is important, it’s not that important because it’s not life or death. Working with people who understand, of course, who value what they’re doing and value the work that we’re doing. We certainly do and we have a commitment to that. Knowing that mistakes might happen. There might be miscommunication, and that’s okay. If we can work it out, let’s work it out, and if we can’t, it’s no hard feelings. We’re adults. I think of it as just also part of my coming of age or something as an adult and as a business owner that I thought that these practices were standard. I thought that people were disrespectful, and people were kind. That’s not the case, I’ve learned. Trying to find more people who I get along with … and I can say now easily to people, “Hey, you’re not a good fit,” if they’re not, and I don’t feel bad about that anymore because it’s not healthy for either party to go into a relationship where it’s not right in terms of the business values or the expectations. I think that’s the biggest thing I learned as a business owner is that it’s okay to say no, it’s okay to go with your gut, and it’s okay to tell people to screw off sometimes. Brian Clark: You have learned the essential wisdom at a very young age, gosh. It took me a long time, but then again, I didn’t get started till 30. All you kids are driving me crazy — in a good way, though. Very proud of my Millennial entrepreneurial friends. I know you’ve got some cool stuff coming up, a course that you’re going to be launching, but I want to talk to you as someone who rebranded his own company a year ago now. Is there something in the works there? Jess Ostroff: Yeah. I spoke at Social Fresh, which is a marketing conference that is usually all over the country, but this year it was in Orlando, and that was my goal was to unveil the rebranding and the website there. We moved over to Rainmaker, shameless plug for you guys, so that’s great. Brian Clark: Love it. Absolutely love it. Jess Ostroff: You don’t even have to bribe me for that one. Jess Ostroff: Yeah, it’s awesome. I was excited, too. I was worrying about the learning curve, but so far it’s been great. I wasn’t a part of the training with the developer and stuff, so I was like, “Oh, I’m just going to go in there.” Like the other day, I was in there just checking things out, and so far so good. Brian Clark: You positioned yourself in a way that you attracted the wrong type of people who wanted you to respond at 3 am, some people. Jess Ostroff: Right, sometimes. Most people understood that it was meant to invoke a feeling and not exactly a set of services because we try to make it clear what we do and we don’t do, but then we realize we have to be even more explicit about that. In fact, on the new website it has, “Here’s what we don’t do,” spelled out. Just seeing things like that from other companies was helpful as we were going through this. I’m happy with it. It was very long and strenuous process, but we worked with a really good designer and a really great Rainmaker developer. I think the new site is just a lot cleaner. It showcases a little more of what we do in a compelling way. We’re still working on it. It’s in beta right now. There are a lot of things that I still want to add. But the other thing that was important with the rebrand was showing people how we’ve helped other people. We’ve made the testimonials and stuff a lot clearer. We keep talking about this, but I think trust is so important. There are other people that can be hired to do this work, so why should people hire me and my company? It’s like, “Well, these are some people that have had good results. These are people who are influencers and are running huge companies and have us working behind the scenes.” I’ve seen more and more in my decision making, even checking Yelp reviews or TripAdvisor reviews, people want to know what other people have to say. So that was pretty important in our rebrand and our new website. Brian Clark: Yeah, I like the new design. I like the new logo. You didn’t change the name, and I almost thought when you first told me that’s what you’re going to do. What you did was reemphasize, I think. Brian Clark: I also love, “All the benefits of freelance and none of the scary stuff.” That’s good copy right there. Nice work. Brian Clark: I am a shameless fan of alliteration, so I do stuff like that all the time. It pleases the ear, so I think it’s good. But I get it because you’re like, “Is that too precious?” Exactly, no. Jess Ostroff: It’s a work in progress. Jess Ostroff: I like to think of everything as a work in progress. Brian Clark: It’s always a work in progress. That’s rule number one. Jess, thank you so much for coming on the show. I think you’ve shared a lot of practical tips on how you really have to evaluate, even if it’s a freelancer, even if it’s a virtual assistant, that skillset and reliability are rules number one and two. But if you don’t like them, your life is not going to be happy. Let’s face it. We work too much to not enjoy who we interact with when we have all the choice in the world. Jess Ostroff: Absolutely. I think too many people try and rush it. I guess that’s my biggest tip is to start thinking about it before you have to think about it, so you have the time to sit with it and go over the people over and over again and make sure you have the right fit. Brian Clark: Thank you so much, Jess. Everyone, hope you got some good ideas out of this. Thank you for listening, and as always, keep going. I was looking in my email box and my eyes went directly to word “unemployable”. I started listening to this recent podcast and just loved it for a myriad of reasons. I’m stuck, Jess…and maybe your “Millenial” feedback can put this older but still hip and savvy ” Gen X” older horse jump back on the saddle. I have a background in sales, I am 49 years old and haven’t been gainfully employed for 8 years. I was sidelined when I started a relationship with a blind man, and have been a literal caretaker for him. It has been exhausting and distracting from an 8 long search for something I can use my skills for to become employable again. Do you have any advice for a person like me? I researched the U.S. Department of Labor Statistics and saw that the number of people who became unemployed back in 2008 when the economy crashed are the largest segment of people still unemployed across America. Incidentally I am big on research. Also I see my friends and family divided and frightened by the 2016 Presidential Election, and what the outcome means to their ability to remain “employable” after a long dry spell since 2008…. Please write back to me. I was inspired by what I heard today about what you look for when you hire. Do you have any words of wisdom for someone of my age with a strong background in sales who are still in a terrible “stuck” place. I still have years to contribute and earn, but I am frightened. I am frightened that it could possibly be too late. I loved what you said about core values. You are a very cool young woman and you personality just glows when you speak. Thank you for sharing. I took one of the earliest VA training programs back in 2004. While the training was invaluable for how to think about work/working remotely, I quickly realized that I was not interested in doing any busy, er, admin work. Jess is right in that the title of “Virtual Assistant” is not accurate for what she and her agency offers, and much of what professional service providers who support other businesses also offer. I like being an island, but I do recognize the need to have a team to handle the things I don’t do well/don’t want to do, but don’t need an admin person or a full-time person, so for folks like me, Jess’s agency is important.